A 3.5" x 5.0" horizontal photo holder is included. 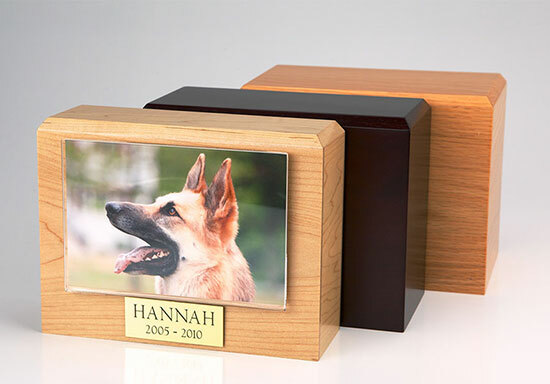 (If you prefer a larger 4" x 6" horizontal holder instead, click the back arrow once and select the PH200 Photo Urn in your desired wood). Rapid 1-Day and 2-Day air shipping is available! We attempt to ship all orders placed by 11 a.m. the same business day from St. Paul, Minnesota. All orders come with a 100% customer satisfaction guarantee!